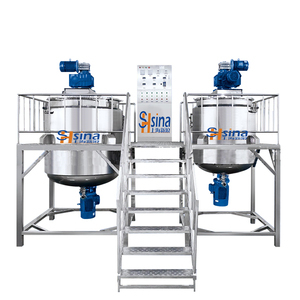 This mixer is featured with mixing, dispersing, homogenizing, heating, and it is an ideal machine for liquid mixing. Upper blending matches scraping edge magnetic head adjustment speed, motor power is 4KW,water circulation cooling. 4. Lower homogenizer adopts imported English Crane company high speed machine Bi-metal seal,and matches imported bearing. The materials will be processed in the narrow apace between stat or and rotor by strong energy of motion produced by the mechanical effect. * After-sale: We can install the machine in your factory, but the cost of accommodation, air ticket, and technician fee will be on your account. 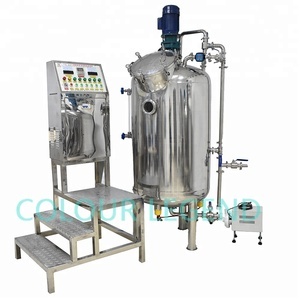 We are mainly engaged in production and installation of equipment for pharmacy, food, cosmetics, chemical industry,etc. Guangzhou Weidong Machinery Technology Co., Ltd.
Materials can be heated or cooled according to technological requirements. The heating methods such as steam or electric heating can be selected according to customer requirements. Various forms of blending vanes are suitable for production of different types of products. 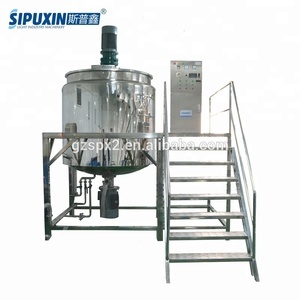 Machine mixer liquid detergent guangzhou toilet soap making machine has high speed disperser . Finished products ofMachine mixer liquid detergent guangzhou toilet soap making machine can be discharged by valve or match a screw pump. 3. 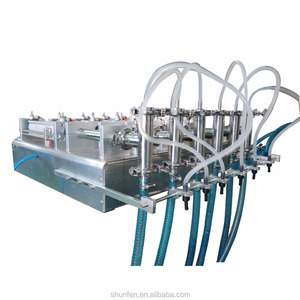 During liquid production, it can save energy consumption and shorten production period. Some of Our Customer: BYD Company PERFECT CO.,LTD Mr. Wei Meng Company ACCENT Company BAWANG GROUP KONBOM Company Some of Project Show Our Company- XINJI Mechinery Manufacturing Co. Warmly Welcome to your inquiry! 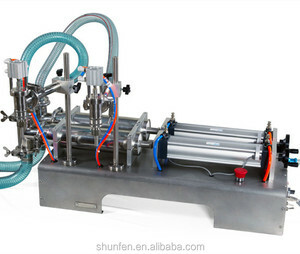 Alibaba.com offers 8,975 liquid soap making machine products. About 79% of these are mixing equipment, 1% are filling machines, and 1% are reactors. 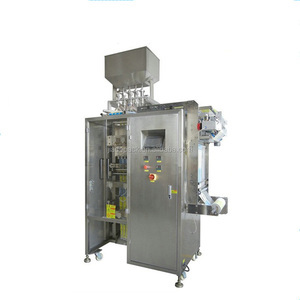 A wide variety of liquid soap making machine options are available to you, such as viscous fluid, powder, and liquid. You can also choose from agitator, homogenizer, and screw. As well as from granulating, milling, and drying. 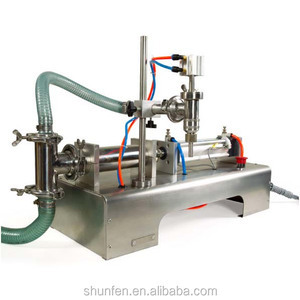 And whether liquid soap making machine is free samples. 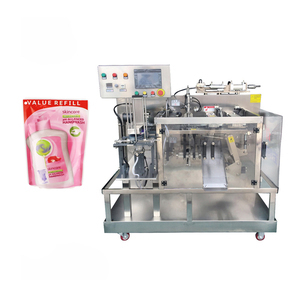 There are 8,986 liquid soap making machine suppliers, mainly located in Asia. The top supplying countries are China (Mainland), India, and Taiwan, which supply 92%, 7%, and 1% of liquid soap making machine respectively. 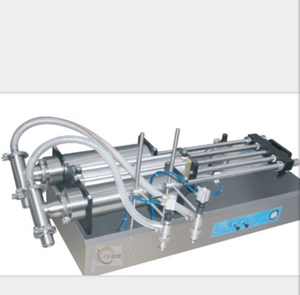 Liquid soap making machine products are most popular in Domestic Market, North America, and Mid East. You can ensure product safety by selecting from certified suppliers, including 2,715 with ISO9001, 248 with Other, and 151 with GMP certification.